We’re headed back to Kenya! Join us on this humanitarian trip! Kenya, the land of vibrant colors, lush habitat, and some of the most beautiful landscapes in the world. Stepping into the natural richness of the country is a journey of a lifetime, becoming a part of their culture is an experience beyond words. The simplicity of a humble life and the innocence of the heartful smiles will leave you speechless! Come join us and fulfill your personal quest – visit a new country, enjoy its magnificent beauty, become a part of their fabric; while also delivering to an inner calling of humanitarian service. Open yourself up, see the world, see what it needs, and find your voice through service. I never knew of a morning in Africa, when I woke up and I was not happy. Your trip leader, Founder, President and CEO of Women Like Us Foundation Linda Rendleman, right, with Mrs. Tom, founder of the Noel School. Women Like Us Foundation has recently provided more than 900 text books, clean water, septic and toilets to 250 school children, built a garden and much more. We will be working with this community of children during our trip. 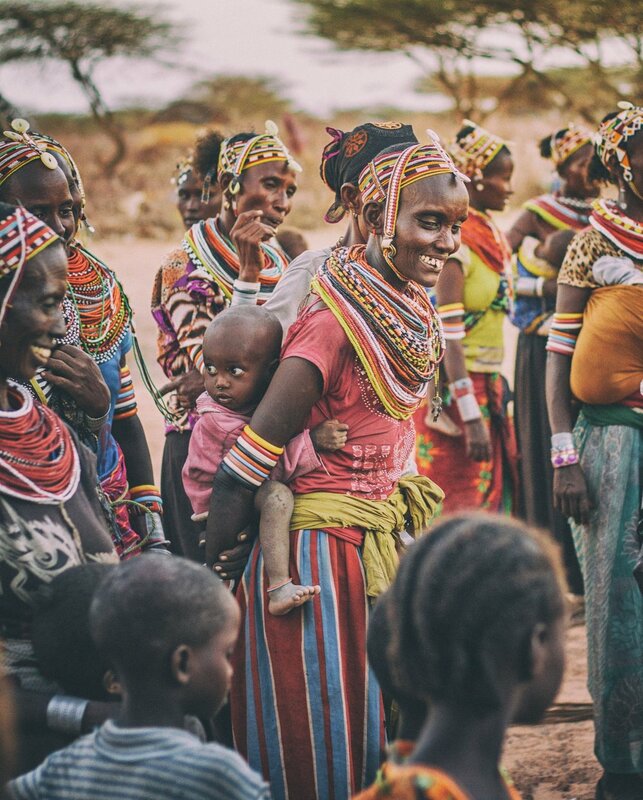 Women Like Us is proud to take you to a spellbinding time to Kenya, helping you enjoy the much talked about wildlife safaris and cultural experiences, coupled with various projects to serve their community. Our projects address education, environment, health and human services, and drive a community together towards economic development. Our humanitarian travel program provides resources for education, women’s shelter, vocational training, clean running water, health, farming, and sanitation services. Our volunteers continue to evolve these projects further and introduce new ones. Get involved with the sewing projects, educational workshops and farming projects at the Women Like Us Center in Nakuru. In addition, travelers will enjoy a few different safaris, an overnight campout in luxury tents, and an opportunity to become one with the spirit that is Kenya. C’mon, make yours, one to remember. Photos from our previous trips show the excitement and camaraderie we experience! Working together in the garden at the N A Noel School. We planted spinach, kale and potatoes. My trip to Kenya in June of 2018, was an experience unlike any I’d had before. It was a unique opportunity to meet many beautiful children and their caretakers, to understand a small part of their lives and to put thought towards how our efforts and resources can make a giant difference in their worlds. I would highly recommend this trip for a look into the incredible culture of Kenya, for a chance to engage with passionate people, and seek an understanding of how one can help, and of course to enjoy the opportunity to see animals in the wild. Unforgettable experience! Our trip to Kenya was one of the most meaningful experiences we ever had. My 16 year old daughter and I were able to connect with women and children who are just like us but face challenges that we could not imagine. It certainly put all the things we find arduous in our own lives into perspective. We found that we were united in so many ways with the people we met: we are all trying to create a better future for our children, empower ourselves, achieve goals, and build fulfilling lives. We were able to witness and participate in the programs that Women Like Us Foundation have established and are creating which are truly Improving the lives of underprivileged people throughout Kenya. We made friendships and returned to the U.S. galvanized to continue to contribute to the Foundation. In addition to the work that was done for the various projects, we were “treated” to beautiful moments discovering the wildlife (including elephants, giraffes, lions, baboons, a rare cheetah sighting, and countless other species). We adopted an elephant orphan! We spent an afternoon with the Masai Mara tribe. We met the inspiring Kim DeWitt and the girls at the Olmalaika Home and were honored to have the girls perform songs for us. Our accommodations were perfect and the travel from place to place was seamless. We feel so blessed to have had the opportunity to participate. The experience was rich in education, emotion, and utterly enjoyable and my daughter is still thanking me for organizing the trip! My experience on the Kenya trip with the Women Like Us Foundation was amazing! I loved engaging with the kids and learning of their culture. It is an absolute trip of a lifetime! I learned so much. Terry Kaiser, Sr. Vice President, Global Development, describes what you’ll be doing on this trip, the lives you’ll be impacting and the friendships you’ll make. Some of the items may get altered based on weather conditions or resource changes, but we guarantee a mesmerizing time between life, community, and wildlife.